Mandeep Singh has been awarded the AML Scientist Award at the ICNANO 2011 conference in Delhi, India. Many congratulations! 5 out of 9 podium places in this years’ chemical engineering experimental section of the SVK student competition go to members of the Chobotix group: David, Zuzka and Martin Š. bring home bronze from their respective sections, Nina takes silver and Martin J. has won his section. Excellent job, everyone! A warm welcome to Zhao Zhou who joins the group to pursue his PhD. Congratulations to undergraduate student Marek Šoltys for placing 3rd in the best poster award at the CHISA Congress among tough competition from PhD students. New students joining the group: Damian Gorný, Viktorie Čermochová and Matěj Novák. Welcome and good luck with your work! Zuzana Kremláčková, Martin Jakubec, Anna Pittermannová and David Smrčka have successfully passed their state examinations and so completed the first cycle of their studies. Many congratulations and good luck for your further work! Marek Schöngut has won the ‘Best poster award – applicability to industry’ (sponsored by Unilever) at the 5th International Granulation Workshop held on June 20-22 in Lausanne, Switzerland. Many congratulations! The National Technical Library has prepared a rich programme for the visitors of The Prague Museum Night – Science and Technology at the Heart of Dejvice. We have presented Chobotix project. Congratulations to Martin Ullrich and Michal Brož for successfully passing their State Examinations and defending their Diploma (Master’s) Theses. An article about the European Research Council, featuring several ERC-funded projects including Chobotix, recently appeared in the IEEE Pulse magazine. 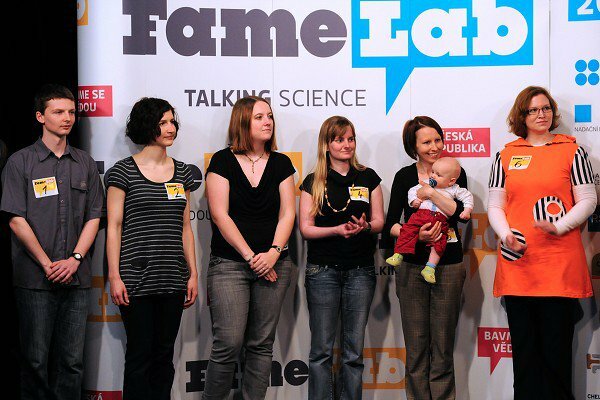 Today Jitka Čejková participated in the national final of the FameLab research competition. She ranked in the top-10 nationally, which is an excellent achievement. See TV report from the first round. Many congratulations to our collaborator Dong Nguyen Thanh for winning the first prize in the competition “Smart solutions for the environment” for his work on nano-structured adsorbents for arsenic removal (see recent publication). Excellent news for Viola Tokárová, who was successful in obtaining a research grant under the AKTION scheme for collaboration with the Institute of Environmental Biotechnology of the Graz University of Technology.